A complex, multifactorial, chronic, severe, disabling brain disorder, diagnosed in young adults at the time of the first psychotic episode of hallucinations and delusions. Has a 10% chance in first degree relatives. Second degree relatives have a higher chance (1%) than the general population. 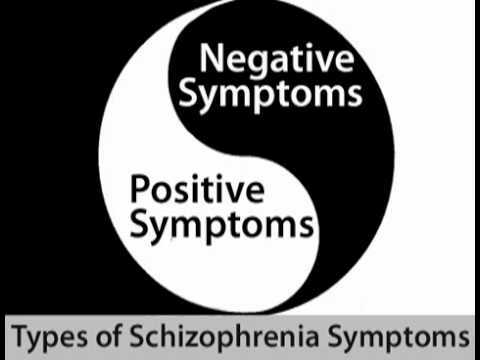 There is a 40-65% chance of occurrence in an identical twin of a person with schizophrenia. Interactions between genetic and environmental factors are necessary for the occurrence of schizophrenia. 2. Different brain structure and chemistry. Imbalance in the chemical reactions involving neurotransmitters Dopamine and Glutamate maybe a cause. Brains look different in small ways. Eg: Larger ventricles, less grey matter, some areas show more or less activity. Some differences of brain tissue may also be a cause. Exposure to viruses and toxins or malnutrition while in the womb during the first and second trimesters. Older age of the father. Psychoactive or psychotropic drugs during teen years and adulthood. – Males and females have an equal chance of occurrence. But males develop the symptoms a little early in life. – In most cases, this does not occur after 45 years of age. – Rarely occurs in childhood. But awareness is increasing. – It’s difficult to diagnose in teens as some symptoms show similarity with normal teenage behavior. – All ethnic groups show similar rates of occurrence. Only the person can experience the sounds and the sensations, but the others cannot. It may involve any one of the five senses. Auditory hallucinations are the most common. Most of the time, the person complains as “hearing voices”. These “voices” are mostly critical or abusive in nature and comes from someone the person knows. Visual hallucinations are also relatively common. These are the false beliefs that are not based on reality. Very common and occurs in more than 90% of cases. Unusual or dysfunctional ways of thinking. Excessive movement or agitated movements. Lack of initiative or drive. Lack of pleasure in everyday life. These are subtle and therefore difficult to recognize as being part of the disorder. Trouble focusing or paying attention. These symptoms make it hard to earn a living and lead a normal life. They also lead to emotional distress in the person. – All these symptoms of schizophrenia usually begin to appear during early adulthood. – In case of men, they appear during early twenties. – In case of women, they appear during late twenties and early thirties. 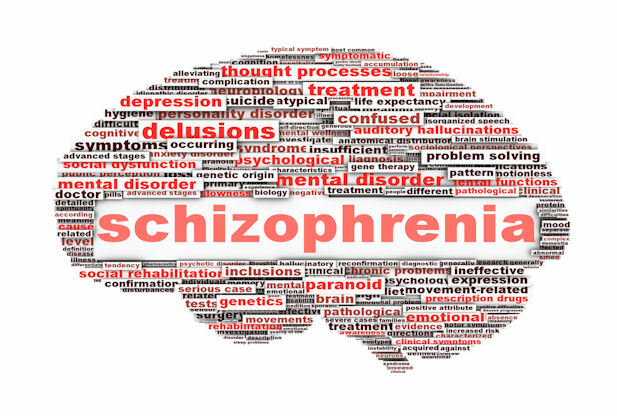 The main focus of diagnosing schizophrenia is, to eliminate other mental disorders and to determine that the symptoms are only due to this disorder and not due to any substance abuse, medications or any other medical conditions. a.) Two or more of the following symptoms, each of which must be present for a significant amount of time during a period of one month. b.) Social or occupational dysfunction. Since the onset of the symptoms, there is a marked decrease in the major daily functioning of the person for a significant period of time. c.) Continuous signs of disturbance persisting for at least six months. d.) Schizoaffective and major mood disorders have to be excluded. e.) Substance or general mood conditions have to be excluded. f.) If there is a history of autism spectrum disorder or other communication disorders of childhood onset, the schizophrenia diagnosis is made only if hallucinations or delusions are present for at least one month. 1.) Typical or conventional drugs. These are first generation drugs. They control the positive symptoms. 2.) Atypical or new drugs. These are the second generation drugs. They control the positive and negative symptoms. These atypical drugs have lesser side effects than the typical drugs and they can be managed successfully. Therefore, they are more preferred now. This includes job counselling and training, money management counselling, practice of communication skills. The therapist has a role in helping the family members to learn coping strategies and problem solving skills that are required to take care of the patients and to make sure the patients stick to the medication and treatment plan at all times. 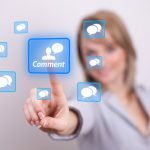 CBT focuses on the thinking and behavior of the patient. It helps the patients to cope with the symptoms that are not controlled by medication and helps to reduce the severity of these symptoms. It also reduces the risk of relapse. This teaches the patients to take an active role in managing their illness on their own by helping them to cope with stress and to recognize warning signs of relapse of the condition. These are for patients and their family members. The members of these groups support each other to cope with the disorder. – Full recovery of these patients is not common. – 5% of cases have a risk of suicide throughout their life time. – Positive symptoms respond well to antipsychotic drugs while the other symptoms persist.